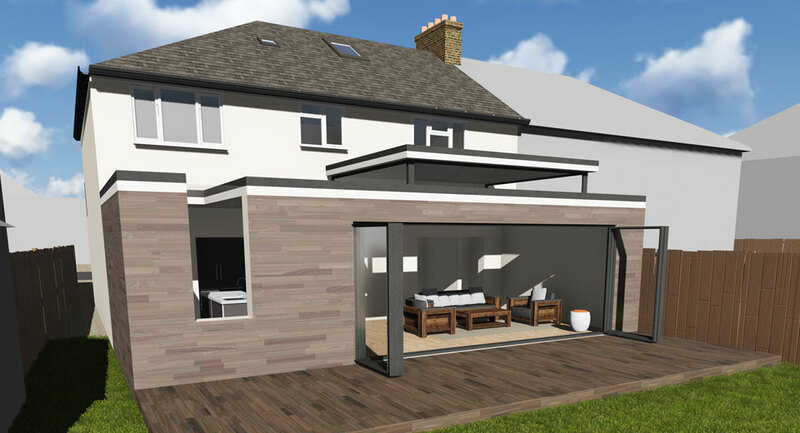 Project Type: Single Storey Extension, The brief was to make a contemporary new space for this professional couple for entertaining their guests. This couple were smart professionals who had been referred to us by a family member that we had done another project for. 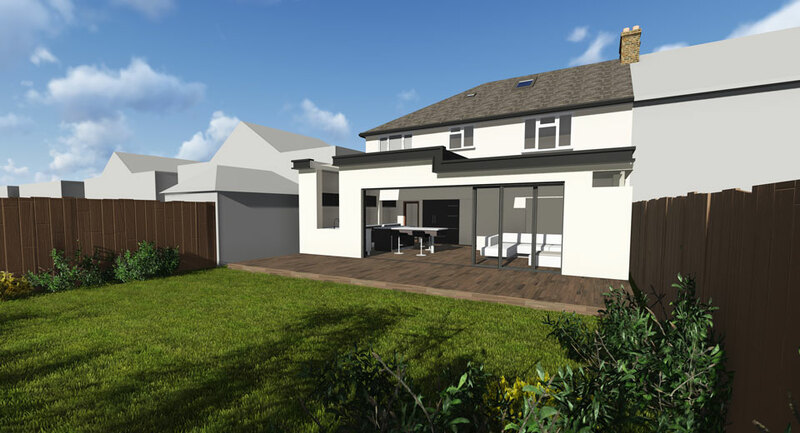 Their dream was to have a modern twist to the rear of their traditional property, so our design brief was to deliver a contemporary solution for their extension, in keeping with the character of the host building. They wanted a large kitchen and entertainment space with two ceiling heights, creating a beautiful feature both internally and externally. Another stunning feature was to connect a frameless window and skylight to flood the area with light. To maximise the effect of this, we thought about the practical function of preparing food and placed the kitchen sink by this stunning glass design detail. 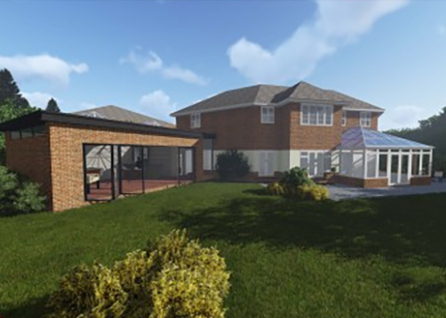 Sutton is an attractive, rural area with several examples of modern architecture, and we created a good example of building design for them and helped them to obtain planning permission from Sutton Council for their project. 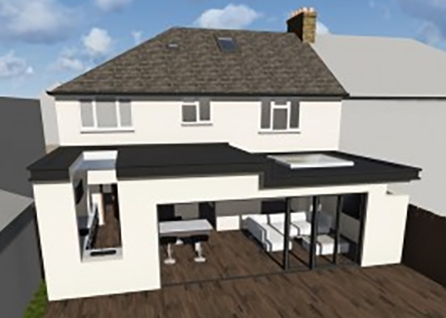 If you are thinking of consulting the London architects list for a residential architect, have a look at some of our kitchen extensions. We can create a great architectural design which will be a pleasure for your family in terms of functionality and added living space. 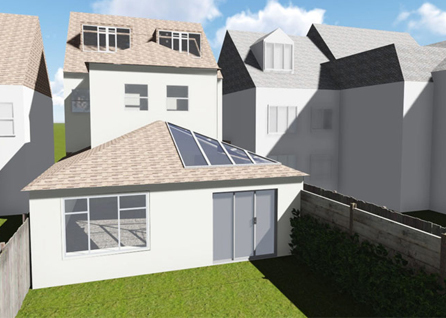 We are expert at home extensions, with vast experience as London architects. 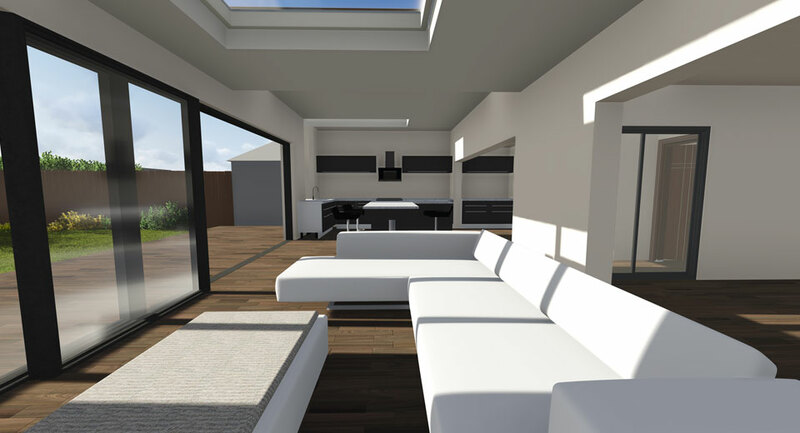 If you would like to know about extension costs or need some help with kitchen extension ideas, do contact us and tell us what styles you prefer so we can plan your design. 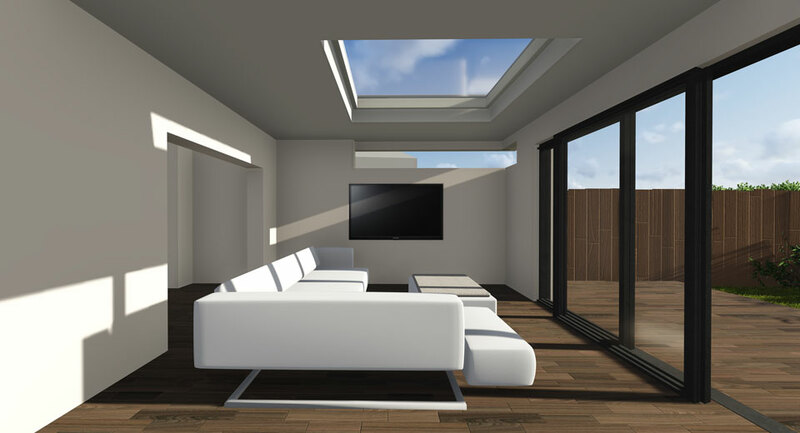 Extension Architecture are based in Battersea, and we have built many projects locally in Wandsworth, Kingston, Richmond, and Sutton as well as in other boroughs across London such as Kensington & Chelsea, Westminster, Camden, Harrow and Brent. 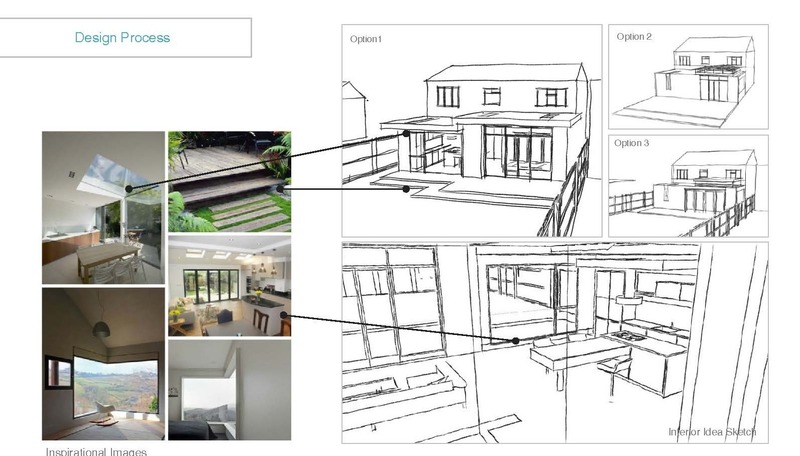 We can create your architecture drawing to submit to the planning department. We focus on customer satisfaction, so many of our clients are referrals from previous clients, who are also happy to share testimonials. How much does an extension add to the value of a house? What home improvements add the most value? You may wonder how much value does a new kitchen add to your home? 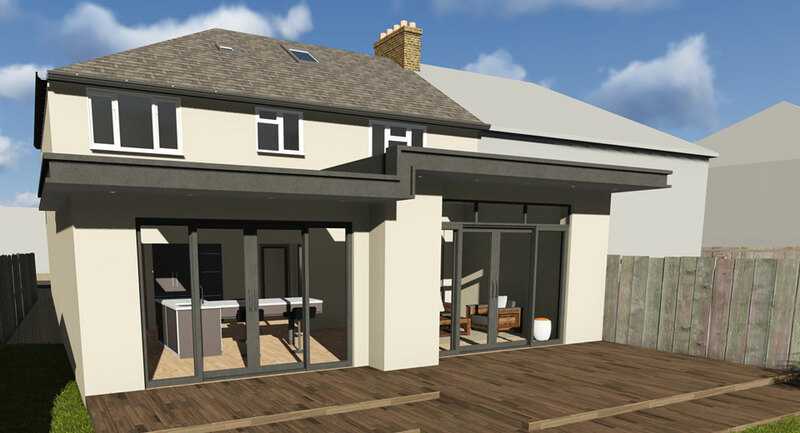 Kitchen extension designs are probably the most popular of house extension proposals. We can indicate the design & build costs as well as the resale value added. 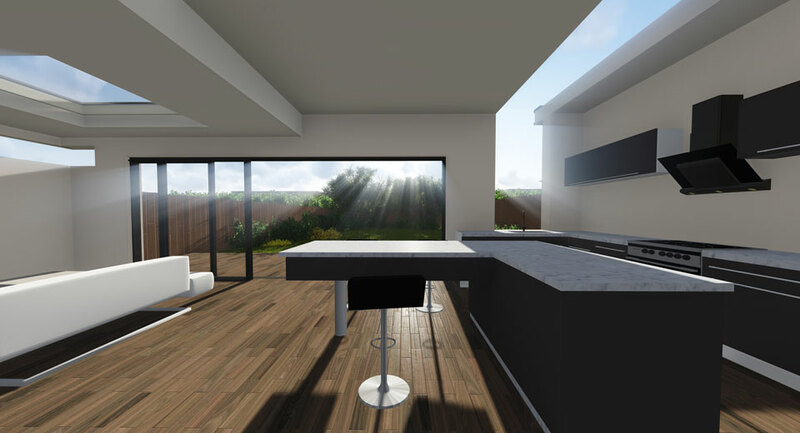 A great way of winning approval from the planning department for your project is to use our 3D Immersive Design package. These visuals are photo-realistic and are useful to see your build before it happens. They are also handy for friends and relatives who want to view your proposal as well as for convincing neighbours and planning officers. For some examples, please see the link above. 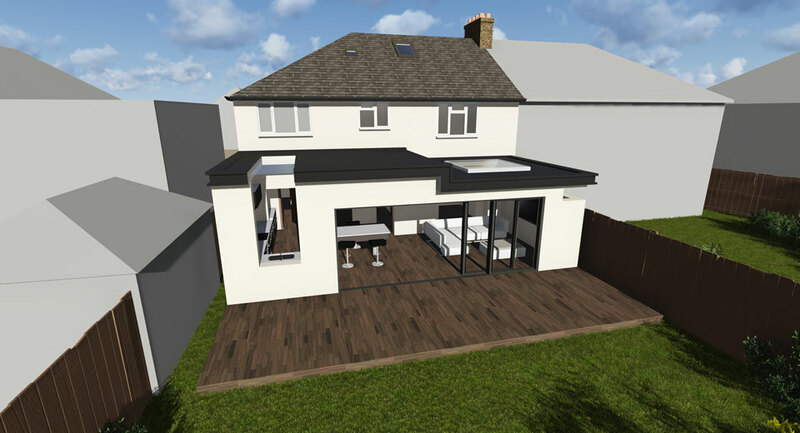 Would you like some house extension ideas? Please get in touch for a free quote. 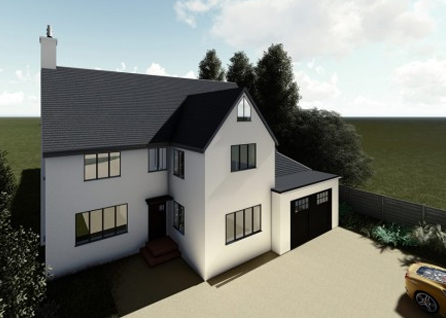 We are expert at getting planning permission through our knowledge of planning routes and alternatives. 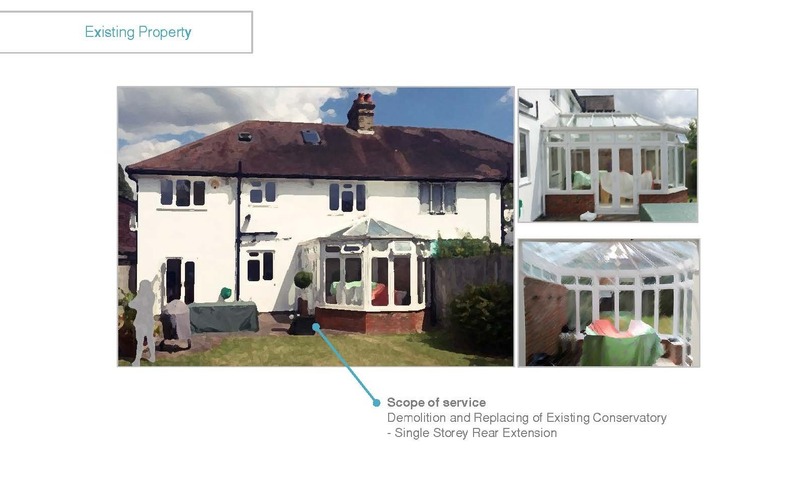 If you want a two storey side extension we can help you make a successful application in most cases. We offer and 3D Immersive Design package which is an effective tool in convincing planning officers of the aesthetics of your build. Pre-planning Applications: We also suggest the pre-app. route in the event of any contention with a proposal. See the Pre-app. section on the Planning Portal See the Pre-app section on the Planning Portal for more details. This used to be called ‘outline planning permission’. 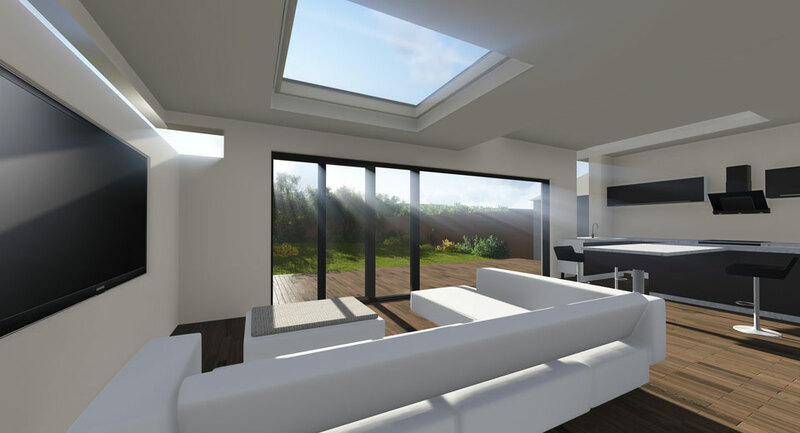 We can guide you re estimated build costs and whether or not you would need planning permission for a conservatory and if so, what kind of permission will suffice. 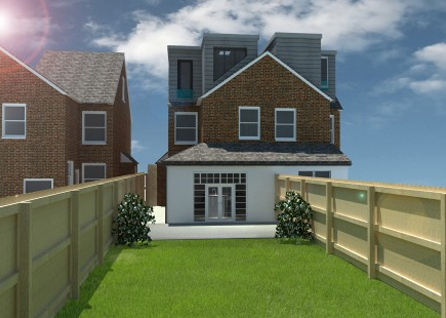 We will tell you how to get planning permission, explain permitted development rules and let you know if your permission is still valid. We let you know about the council’s planning application fees, to which we don’t add VAT. We offer to submit your application and liase with officers on your behalf. There is no extra charge for this.